Maintain a separate PRTG Core and Probe in a remote/hosted location (remote datacenter, AWS, etc.) that monitors the primary system running in production for outages. Physically and logically segment your hosting environment (including monitoring) from production application environments so that production outages to not effect PRTG. PRTG Clustering: Maintaining multiple Core servers that will send notifications in the event of a partial outage of the PRTG environment. There was no support for remote probes, all polling was performed by the Core servers. The design was such that each core server would poll all of the monitored systems, doubling the production impact of monitoring. This can be problematic especially with heavy-hitting WMI- or SOAP based sensors. Starting with version 15.2.17 Paessler resolved these issues by adding Cluster support with Remote Probes. 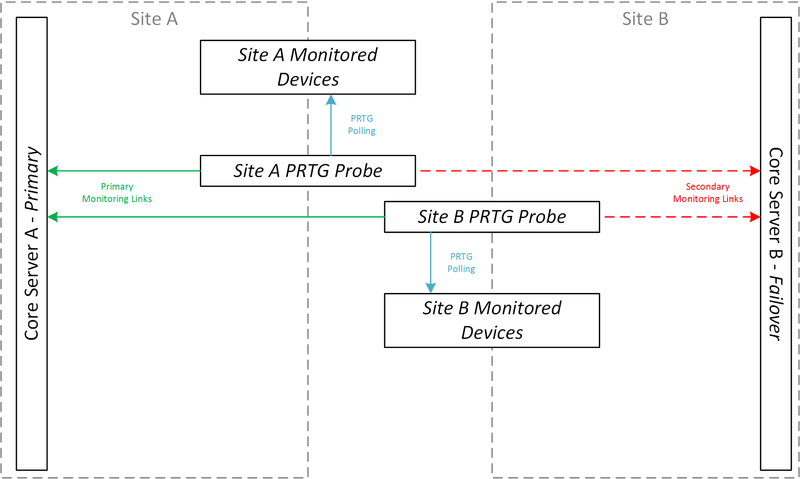 This new design allows the Remote Probe to only poll the monitored devices once per sensor, and then relay that information to two or more core servers. With this design the performance impact is the same as with a non-clustered design. 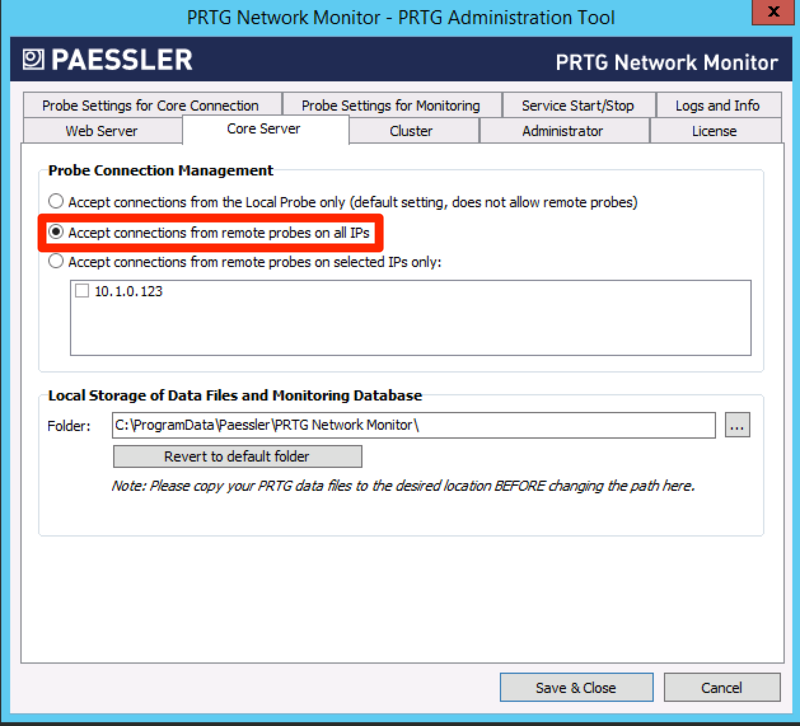 Every Commercial license of PRTG includes a single failover cluster setup, meaning that one primary node and one failover node is included. Additional failover nodes require the purchase of additional licenses. These are all Windows systems that should be installed according to industry best practices. Ideally, the hardware configuration on the primary and secondary node should be identical. 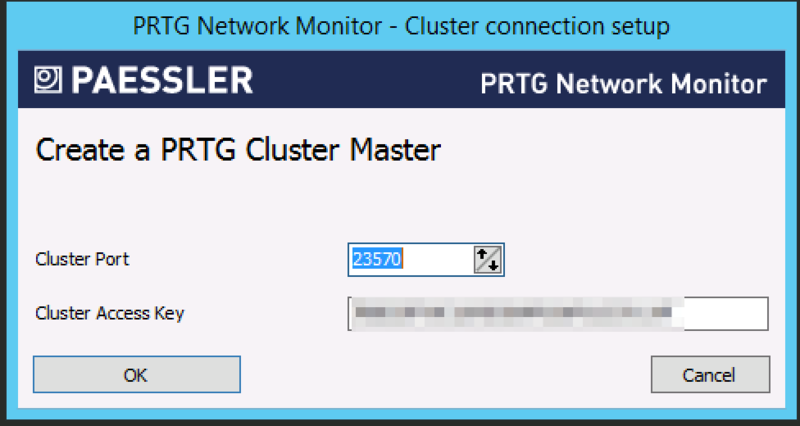 Complete the PRTG installer on the primary and secondary failover node. 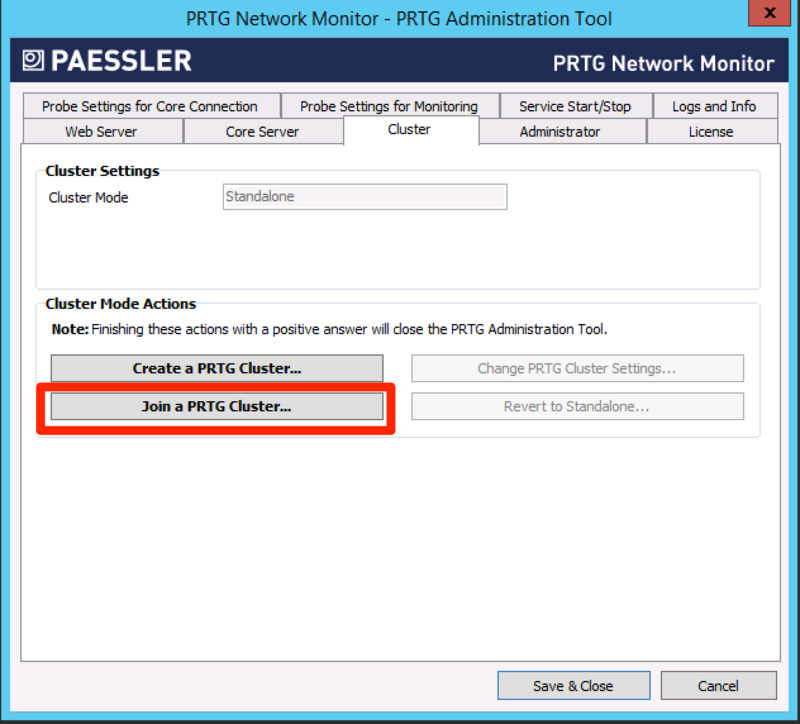 Specify a desired Cluster Port and access key, press OK, and allow the PRTG services to restart. Provide the IP/hostname of the primary node and the Cluster Access Key. 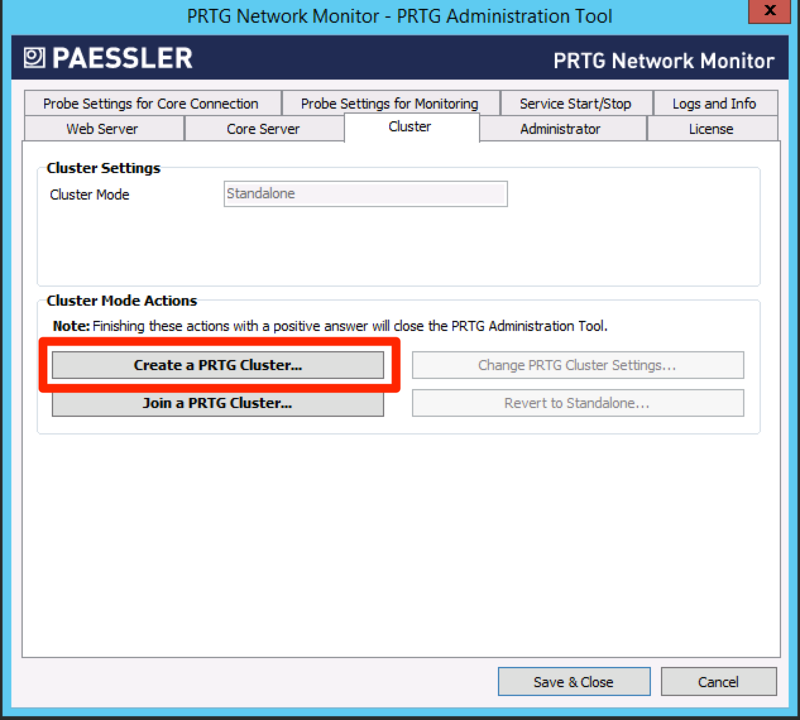 From the PRTG web interface on the primary node, navigate to Setup -> Systems Administration -> Cluster. Mark the PRTG failover node as active. The final step is to ensure that your failover node accepts connections from remote probes. All other configuration is replicated from the primary node.